Now is fine to that, but a few weeks from now is even better. A 2- to 3-inch new blanket of mulch will insulate the soil, which at this time of year means slowing the rate at which it warms. New mulch also will slow the rate of moisture evaporation. 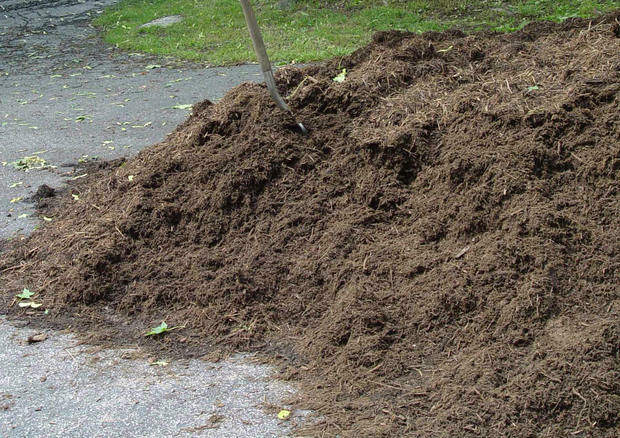 That means mulching in early spring keeps the soil cooler and wetter longer – a move that’ll delay plant and root growth especially in cool, rainy Aprils. So don’t fret if you can’t get to mulching now. Late April is actually better, and early to mid-May is better still. Go ahead and get the beds ready for mulching, though, by cutting a sharp edge and removing any weeds that sprouted or survived winter. Most perennial flowers are coming back to life – or will be in the next couple of weeks. It’s time to cut away any remaining dead and browned perennial foliage from last season to make way for the season’s new growth. Most perennials, such as sedum, mums, black-eyed susans, purple coneflowers and daylilies, should be cut right to the ground. Evergreen or partly evergreen perennials, such as coralbells, hardy geraniums, bergenia, creeping phlox, foamflowers and Lenten rose, came through winter in reasonably good shape and so need only a “tidying-up” by snipping off or raking out the browned foliage. Liriope – that grassy-looking perennial that gets purple flower spikes in late summer – weathered winter very well this year under the snow cover, and so it might look ready to roll with no work. This one is a fakeout because the current growth will brown in spring as new shoots appear. Even though it’s still green, cut liriope back to a short stub now. Now also is an excellent time to divide most perennials, particularly ones that are getting too crowded or outgrowing the space you’ve allocated for them. Use a shovel to dig up plants and either pull apart the root clusters or chop clumps into at least fist-sized pieces. Then replant the divisions as you would new plants. The main exception to dividing in early spring is plants that are already in bloom or about to bloom, such as hellebores, bleeding heart and early bulbs. Divide these after bloom or in early fall.